Ageing is an area of increasing interest across academic disciplines. The rising proportion of older people within society generates a number of challenges. These relate to costs of pensions and care, changes to older workers’ employment and retirement ages, the ‘vertical’ growth of families across generations, and changing patterns of consumption and lifestyles among older people. These topics have gained attention both in academic discourse as well as in public and policy debates. It is crucial to recognise, however, that ageing is not a uniform process and that population ageing may exacerbate pre-existing social inequalities, as well as generating new inequalities, within and between European countries. Hence, international and interdisciplinary exchanges on the issues of ageing and its societal implications are fundamental to the advancement of social scientific knowledge. Against this background, Research Network 01 of the European Sociological Association brings together researchers from various disciplines that are interested in the social and societal aspects of ageing, aiming to facilitate contacts and collaboration among these researchers, and to provide them with up-to-date information. The Research Network was founded in 2001, with Harald Künemund, Kathrin Komp and Ricca Edmondson acting as the first coordinators of the Network. Until now, the Network has grown to a lively community of 128 members from 18 countries, both within and outside Europe. Since its founding in 2001, the Network has organised numerous specifically focused sessions at all nine ESA conferences: in Helsinki (2001), Murcia (2003), Torun (2005), Glasgow (2007), Lisbon (2009), Geneva (2011), Turin (2013), Prague (2015) and Athens (2017). Furthermore, the Network regularly organises mid-term conferences on timely issues in ageing research in between the main ESA meetings. Recent conferences, for example, focused on: “Ageing in the light of crises” (Helsinki 2012) – considering not only the recent economic crisis but also other crises framed in public and academic discourse; “Ageing, ageism and anti-ageing” (Klagenfurt 2014), looking at the various constructions and politics of “ageing” and “being old”; and “Ageing beyond the work-centred life course” (Frankfurt 2016), focusing on recent changes in life course patterns and trajectories. Mid-term conferences provided an arena for discussion based on papers, presentations and contributions from various members of the Network. Furthermore, well-known ageing researchers, such as Prof. Asghar Zaidi, Prof. Martin Kohli, Prof. Harald Künemund, Prof. Sara Arber and Prof. Ricca Edmondson, provided keynote speeches as valuable stimuli for further debate. The mid-term conference in September 2018 took place at the Masaryk University of Brno in the Czech Republic, focusing on the topic of “Agency, Citizenship and the Dynamics of Power”. Another major focus of the Network has been promoting junior scientists in the early stages of their career through regular workshops for PhD students and early Post-docs. Since 2008, five workshops have been organised by the Network and delivered at the Universities of Amsterdam (2008), Vechta (2010), Porto (2012), Duisburg-Essen (2015) and Chester (2016). The Network also co-organised a further PhD workshop delivered at Helsinki University in 2017. Thematically, these workshops focused on methodological issues as well as critical factors in ageing research, such as the European “active ageing” paradigm, the role of welfare states in shaping the experiences of ageing and the implementation of a broader life course perspective on ageing. At these workshops, students were given the opportunity to present their own research and receive helpful feedback and guidance from renowned experts in the field. Furthermore, they also were advised by experts how to make their results accessible to both an academic as well as a non-academic audience (e.g. stakeholders, policymakers, practitioners). The next workshop for PhD students is scheduled to take place in 2019 and will focus on advanced quantitative methods in ageing research. Beyond these regular activities, the network hosts its own website, is active on various social media (Twitter, Facebook, LinkedIn), maintains an e-mail list and regularly edits a newsletter, which is published at least twice a year. In its proceedings, the Network has followed an explicitly interdisciplinary approach. Many of our members work in sociology; however, we also have members who work in other fields, for example, social policy or psychology. 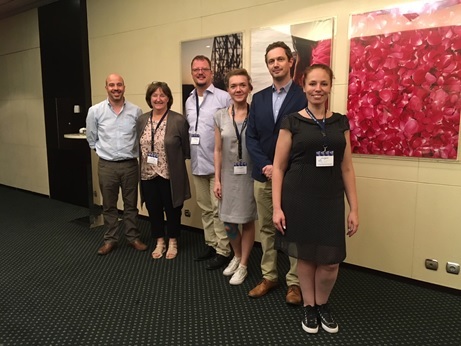 Recent meetings, such as the last PhD workshop have been co-organised in close cooperation with both international and national social policy associations as well as local public bodies. Cross-topical exchange is also fostered within the sociological community, as demonstrated by joint sessions with other Research Networks: RN13 ‘Sociology of Families and Intimate Lives’; RN16 ‘Sociology of Health and Illness’; and RN21 ‘Quantitative Methods”. The Network also tries to maintain a broad European focus, not only in the composition of its members but also in ensuring a wide geographic spread of its meetings and events. The current board is determined to continue this tradition in the future. It is composed of Dirk Hofäcker (University Duisburg-Essen, coordinator), Edward Tolhurst (Staffordshire University, United Kingdom: co-coordinator), Marja Aartsen (Oslo Metropolitan University), Lucie Galčanová (Masaryk University), Kevin Gormley (Queens University), Amílcar Moreira (University of Lisbon), Justyna Stypinska (Free University Berlin), Jenni Spännäri (Helsinki University) and Anna Urbaniak (University of Economics, Cracow). It will continue to promote an ever-growing and active community of scholars in ageing research by, amongst other things, organising various (joint) sessions at the upcoming 14th ESA conference in Manchester. RN01 on the ESA website.